[Johannesburg, 11 March 2008] — Lifecycle-based triggered communications in the form of personalized messages automatically sent to individuals on a special date or event are an important component in achieving effective customer relationship management (CRM). Striata offers a range of locally-developed, tried-and-tested tools and products that support this type of CRM program, including one-way and interactive communications. These tools can also be used to manage and measure customer satisfaction, loyalty levels and perceptions. 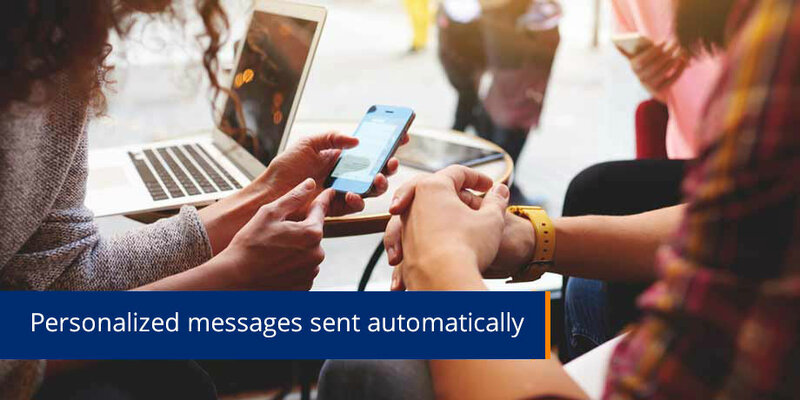 “Striata’s system tracks a customer’s lifecycle and allows pre-determined emails or SMS messages to be set up in advance so they can be automatically sent to a customer when a trigger occurs,” says Papanicolaou. “A trigger may be a date which corresponds to a customer’s birthday, for example. To realise the full benefit of this approach, communications should be customised according to the recipient’s profile including things like language preference, age and the product or service the customer is using. Papanicolaou adds that triggered communications are very appropriate in circumstances where the customer will use the product or service for a defined period. One such example is in car dealerships where messages can be sent welcoming the customer after they take delivery of their new car, then service reminders are sent at the right intervals and even a prompt to consider a new car purchase after three years. Furthermore, since triggered communications can be customised to almost any level, the car dealership could customise the email templates it sends so that each one reflects the appropriate car make and model that each individual customer drives, making an instant connection. A digital gift voucher and “are you still happy” survey email after two years. Striata is passionate about reducing the challenges and costs associated with traditional communication. We understand the power and efficiency of electronic communication, from marketing and operational messages, to the delivery of confidential documents securely by email. Striata specializes in the secure delivery and payment of bills, statements, payslips, invoices and all other confidential documents, via encrypted email, and in maximising the adoption of electronic solutions. Striata has been a provider of software and services in the electronic messaging arena since 1999 and has offices in New York, London, Sydney and Johannesburg. Visit www.striata.com for more information.